When you're in the market for the highest quality auto parts, look no further than Johnson's High Tech Performance. Backed by over 45 years of hands-on experience, our team has the skills and knowledge necessary to provide the best possible parts for all racing enthusiasts. Johnson High Tech Performance pumps are designed and produced to be exceptionally efficient. Most importantly, each of our pumps is manufactured from the highest quality materials and machined to incredibly close tolerances that you can't help but notice. The resulting performance gains are especially noticeable at elevated operating temperatures when the pump's performance actually increases. 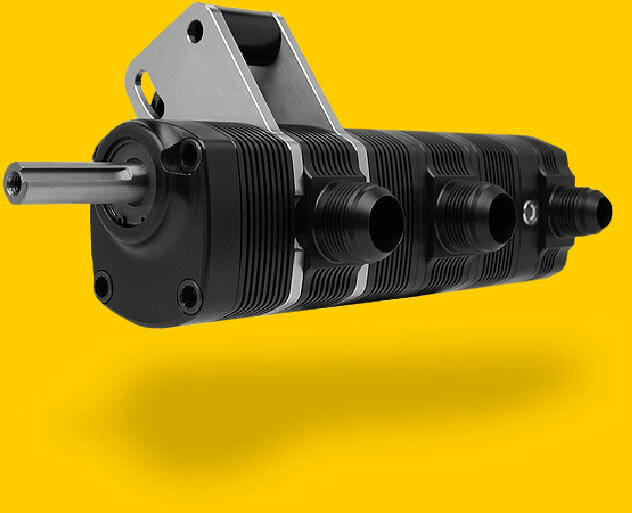 While most pumps generally lose efficiency in extreme environments — such as racing engines — ours is even more efficient under these conditions. Ultimately, these advantages translate to greater horsepower and reliability from your racing engine. With Johnson's efficient oil pumps on your side, you can smoke the competition.